John 0. married twice. His first marriage was to Joanna Pease, daughter of Marshall Pease and Elizabeth Vincent. 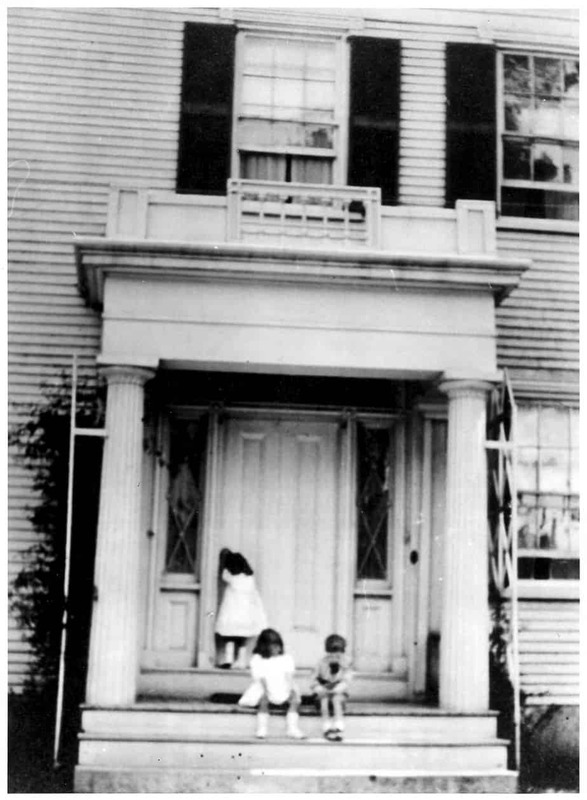 They were married in Edgartown on December 7, 1823 and had 3 daughters, Sally Mirick, Sarah M., and Elizabeth Pease. 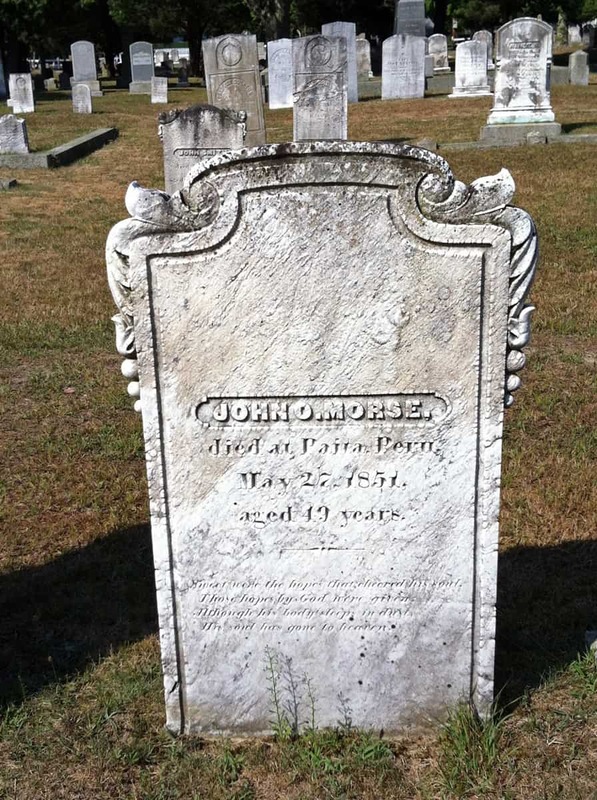 Joanna died on September 30, 1833 while John 0. was at sea. 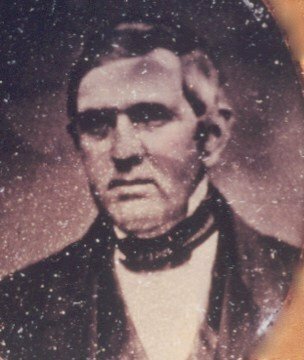 After his return on November 4, 1834, John 0. was married again to Mary Smith, daughter of Ebenezer Smith and Mary Hulsart. They had seven children: Joanna P., John Osbom, James L., Jennie C., Josiah Gorham, Mary H. and an unnamed baby daughter who died in infancy. John 0. spent a large part of his adult life at sea. The first record we have of his maritime adventures is a crew listing of unknown position on the ship, HECTOR, which sailed to the Pacific Ocean whaling grounds and was gone from New Bedford from August, 1826 to April, 1829. Two months after his return to New England, he again sailed out of New Bedford on the HECTOR, this time as her captain. 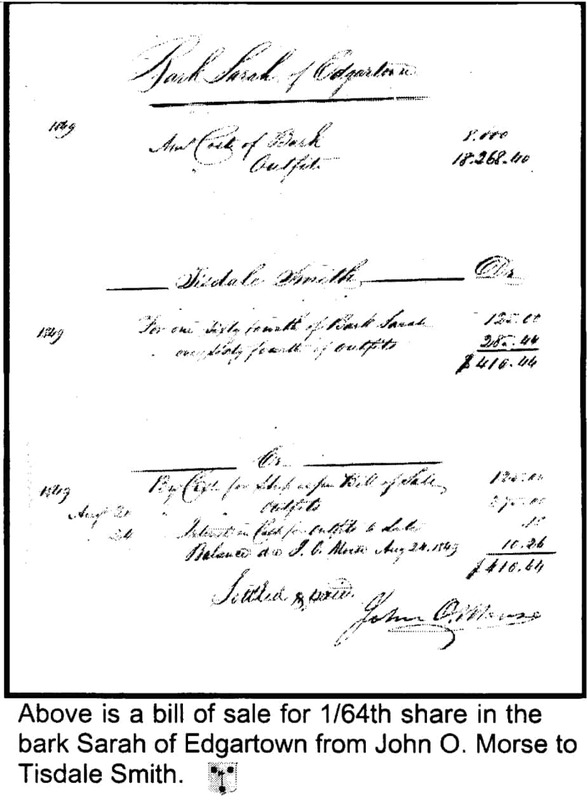 (See the table for information about his whaling endeavors as a ship’s captain. All of these vessels went to the Pacific Ocean whaling grounds. From 1840 to 1845, John 0. took a break from whaling to establish himself at home, in Edgartown. He was engaged in many land transactions. He purchased land near the waterfront and built a large house with porch that overlooked the harbor. The house is still standing on the corner of North Water Street and Morse Street. The SARAH arrived in San Francisco and discharged its crew on April 16, 1850 after a harrowing passage around Cape Hom and visits to several South American ports. After being in California for less than a year, John 0. decided to take the SARAH for a short whaling cruise. He died on this trip. His last entry into his journal was made on February 24, 1851 where he states “Commences with fine weather, wind SW,steering by to the SSE, the boat having returning a favorable report.” At this point, he was at the island of Gorgona, off Colombia. He took sick and was taken sick off the SARAH and left to recover in Paiti, Peru. Captain Henry Pease reports that he died there of dropsy on May 27, 1851. There is a memorial stone for him in the Memorial Grounds Cemetery of Edgartown. Massachusetts. Volume 3: Family Genealogies. Edgartown: Dukes County Historical Society, 1966. Crew Lists. Whaling Collection Archives. New Bedford Library. Deeds and Documents Edgartown Town Hall Records, MA. Volume 29, issue 6 and 20. Vineyard Gazette (Edgartown, MA) 1 Jul 185 and 26 Jul 1985. We are very pleased to have been the family to live in this historic house for the past half century and to be able to ofer it now as a vacation rental home. We have tried to keep it as original as possible while still offering the latest in accommodations and amenities. Captain John O. Morse, for whom the street and home are named kept his ships at the foot of Morse Street. It is easy to imagine him strolling out of the front door of his home and walking the 200 feet down to the water to view his ship and gaze out to sea. His father was a cooper and the building across the street might have been one of the families holdings back when it was a store. He is listed as having carried the huge hand hewn beams of red pine for the Edgartown Methodist Church from Maine on the whaling bark “The Rhine”. History of Timbers. His principle boat was the Hector. He is noted on page 291 of “The story of New England Whalers” by John Randolph Spears as having been in a whaleboat off the Azores when a sperm whale attacked his mates boat and then his boat. Morse’s boat was crushed and he and his crew thrown into the water. He was rescued by the other boat commanded by his mate Mr. Norton. They then were pursued by the whale and barely survived numerous charges before finally killing the whale. Full Story Here For this and other reasons the Hector was known as the luckiest whaling ship afloat. He is also listed as being the master of the sailing ship R. R. Cuyler. Many people lived in the home including a mixed native American from the Chappaquiddick Plantation, Sarah Brown who married William Martin, the only African American whaling Master from Martha’s Vineyard. There is a long entry on Martin here. History of whaling by Starbuck. Starbuck’s Neck is just down the road from the house. the great-great-great grandson of Capt. John O. Morse. Capt. Morse’s son, also named John O. Morse, was Acting Master on the R.R. Cuyler during the Civil War. The R.R. Cuyler was built in 1860 (see https://en.wikipedia.org/wiki/USS_R._R._Cuyler_(1860) ) and was one of the fastest steamers in the Union’s Blockade of southern ports. Frederick Crocker, his wife Joanna and their children , and two of Capt. Morse’s sons, John O. and James L. Morse, moved to South America after the Civil War, where the two brothers were captain and first mate, respectively, of the river steamer “Villa del Salto” on the River Plate (Rio de la Plata). On this steamer the two brothers helped to save 67 people from the waters of the River Plate in the night of Christmas Eve in 1871, when a luxury steamer “America” burst in flames, killing 141 passengers and crew members, in possibly the worst maritime disaster in the history of the River Plate. If you would like to add to this page please email me. This is a living project and will be expanded with your contributions. 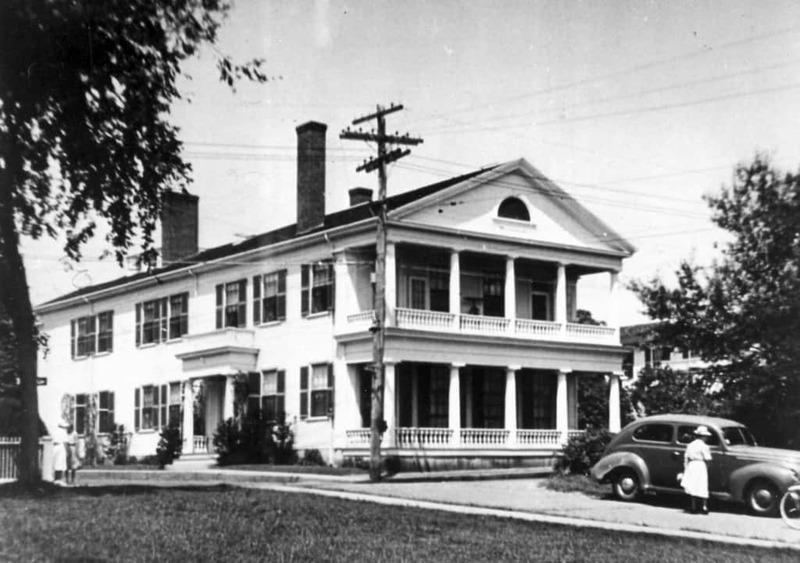 The Dinsmore family were the second owners of the house. 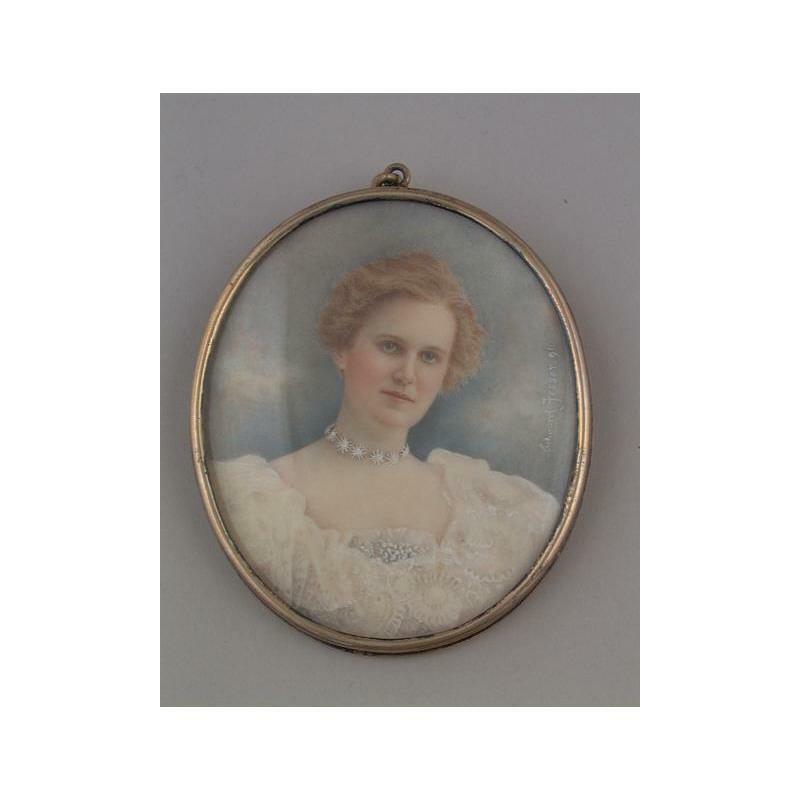 Clara F. Dinsmore owned the Captain Morse House for many years. She was a great reader of books and many can still be seen in the house today. The also published several books herself including one on the 1944 Martha’s Vineyard Hurricane. You can see pictures she took of the storms aftermath here. She also wrote “One hundred and ten Edgartown whaling captains. 1820 -1890” a photo book that is in the Hawaiian Historical Society Historical Photograph Collection. Martha’s Vineyard dealt with its most damaging natural disaster in 1944. The 1944 “Great Atlantic Hurricane” [September 14, 1944] killed 390 people—nearly all of them at sea. The “Vineyard Lightship,” serving in the Vineyard Sound, was destroyed and its crew lost. Island homes were pulverized by the 85 m.p.h. winds and the main roads in Edgartown and Vineyard Haven were flooded. Above is a picture of who I think was Clara’s mother. Her husband founded the Edgartown Golf Club. The only big changes that the Dinsmore’s did to the house that I know of relate to the addition of a large addition to the back North side. The created a large bedroom (the green room) and spaces for two new bathrooms. In the old days almost all houses were square with a long wing coming off the house to create an L shape. This long wing hid the working area of the house where the laundry dried and where the trash was stored. These items were kept carefully hidden from the public. With the advent of washing machines and dish washers these areas were space wasters and so the area was built on. One very strange result was that the underground fuel tank measuring 4′ x 10′ long was built over by the addition. This was later to cause problems. Sometime during the Great Depression. My father lived in New York and was a member of the New York Yacht Club. With his father and his nephew they used to sail annually in the New York Yacht Club cruise. The cruise has a long history with the fleet sailing through Long Island Sound, New England, Boston and Maine. During several of these cruises my father saw and fell in love with Edgartown harbor. In 1955 I was born and my parents decided to start getting out of New York for the summer. 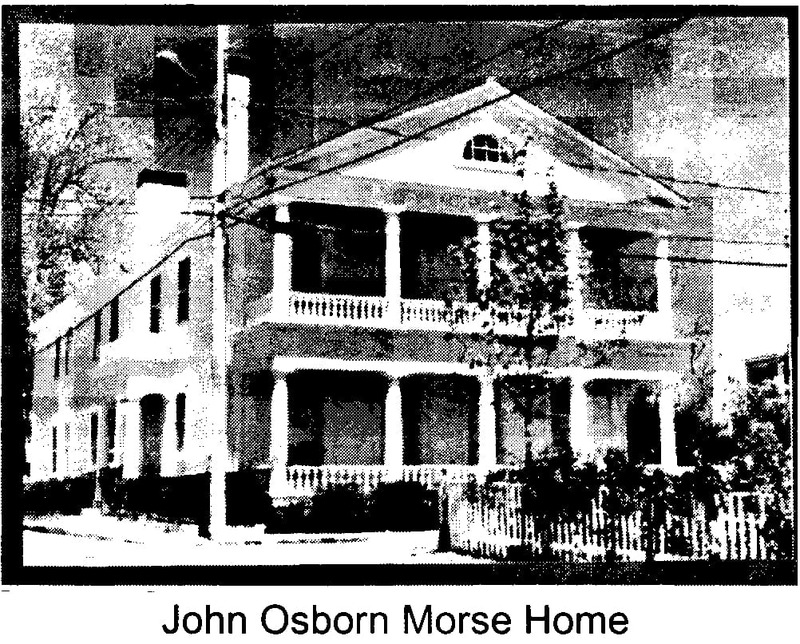 My father put in an offer on the Captain Morse House and also on a property in South Hampton Long Island. Nothing much happened and neither seller was to interested in accepting my fathers offer. Then something strange happened, Eisenhower had a heart attack on September 24, 1955 while visiting his wife’s family in Denver. The news was kept quite, as was the fashion of the day, and so it was that on Monday, September 26, Wall Street panicked. The Dow Jones plunged 6.5%. That evening the Dinsmore representative called while my parents were playing Bridge. My father took the call and after returning to the table announced to my mother that we now owned a residence in Edgartown. The very net morning the South Hampton seller also called to accept but it was to late. On such a simple thing began our history with the house. The first thing my father did was start some renovations to the home that were badly needed. Two new kitchens were installed so that he could rent the back of the house out to supplement the large costs of carrying the house which was, after all, painted entirely in white. Over the years the furnace and hot water heater were replaced and several small things were added. The house was decorated and furnished beautifully by my mother but no other major projects were undertaken until after my fathers death in 1997. I then started doing several delayed maintenance tasks including another furnace replacement, roof replacement, bathroom renovations and major repainting. When my mother passed away in 2008 I began a series of major improvements which are detailed on this page. Now most of the big items are taken care of and the house is mostly in need of routine maintenance which is only affordable through the income we receive for seasonal rentals. Just like the grand houses in England, but on a much smaller scale, we now keep the house in the family by sharing it with others.